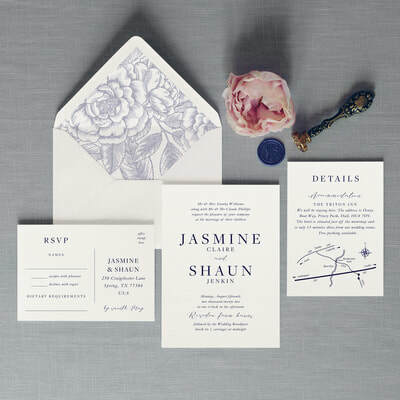 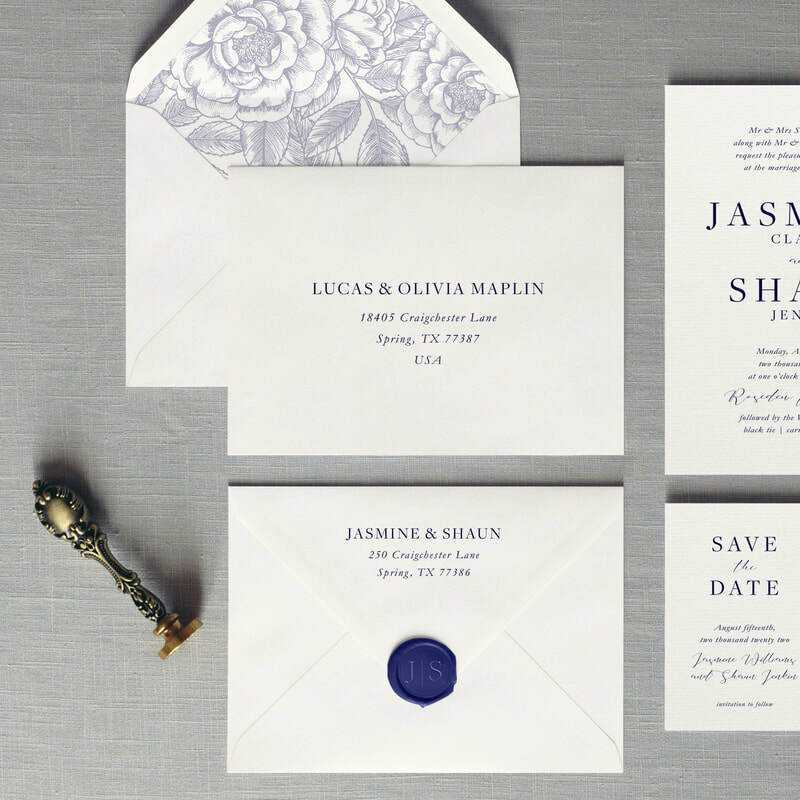 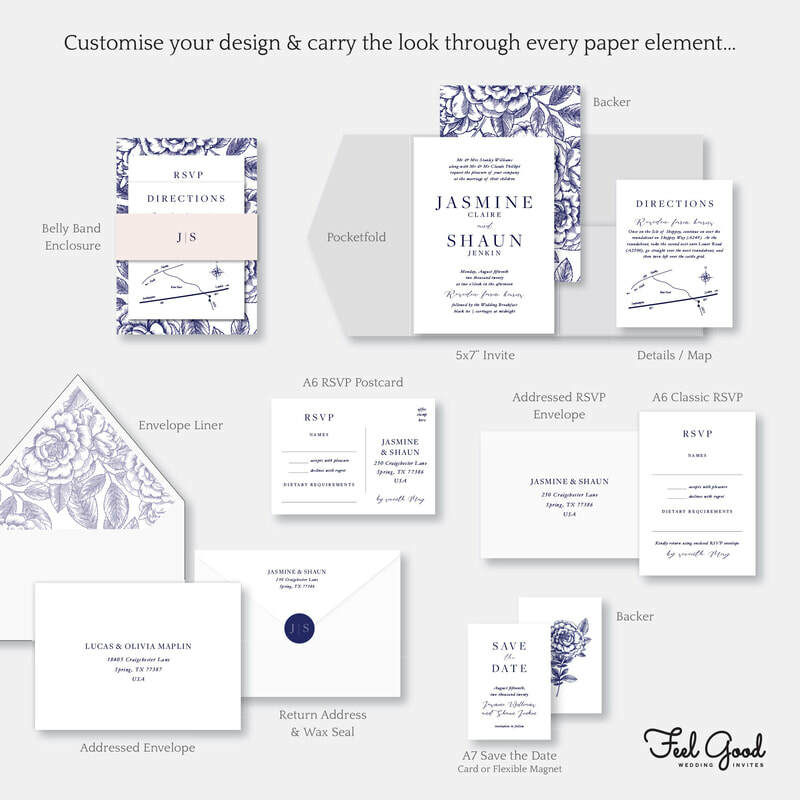 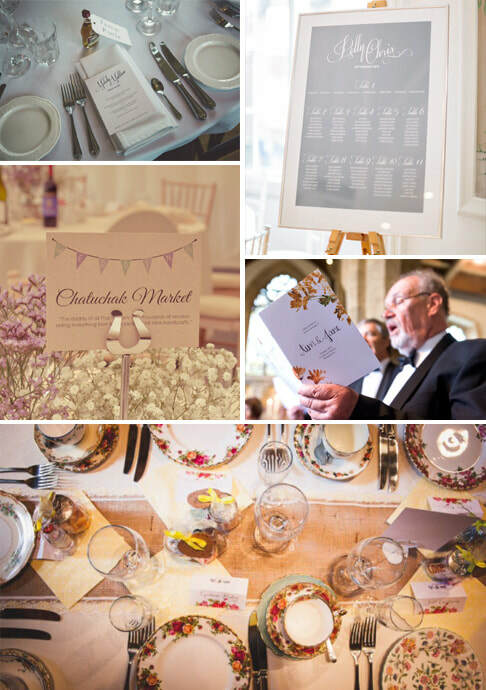 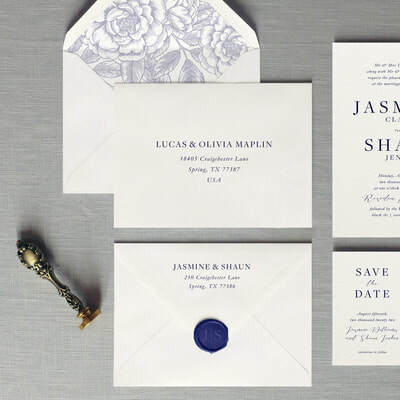 Luxury wedding invitations featuring a classy serif font with calligraphy accents. 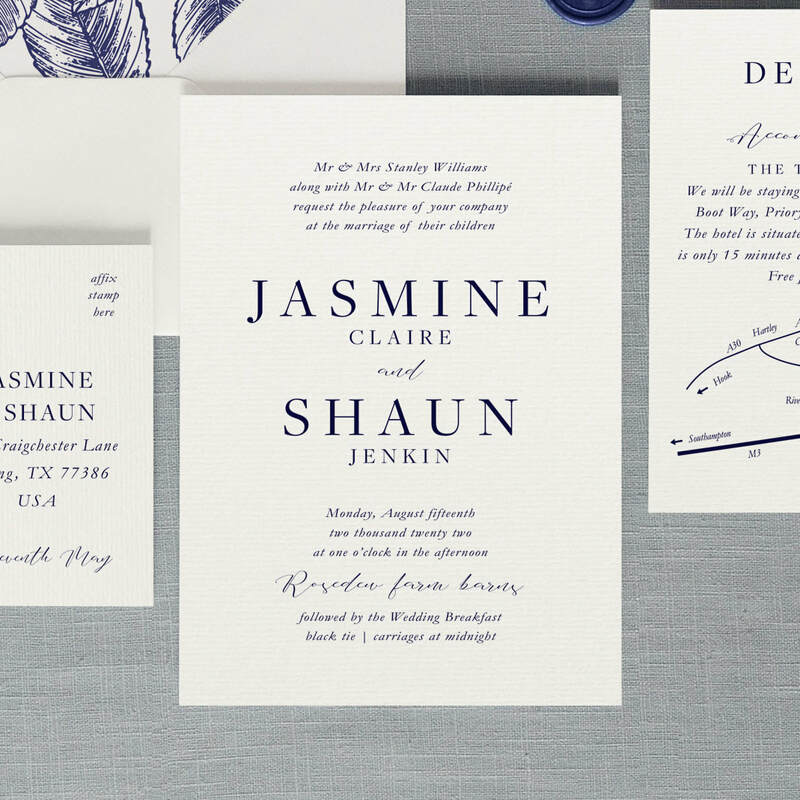 Clean, elegant design and luxurious paper. 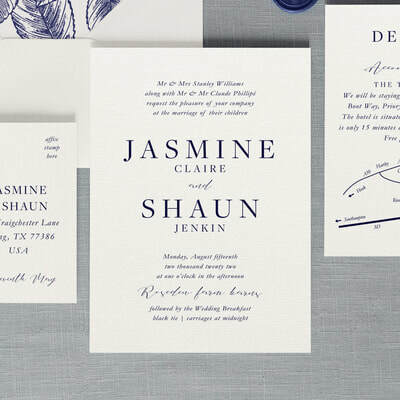 High quality stands the test of time. 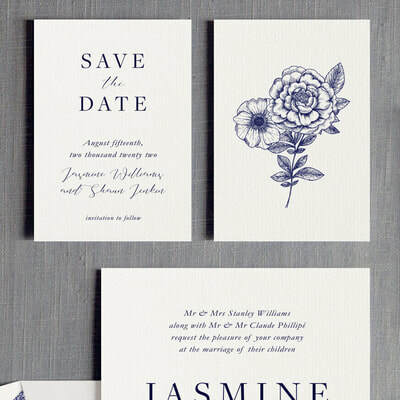 A classy wedding invite! 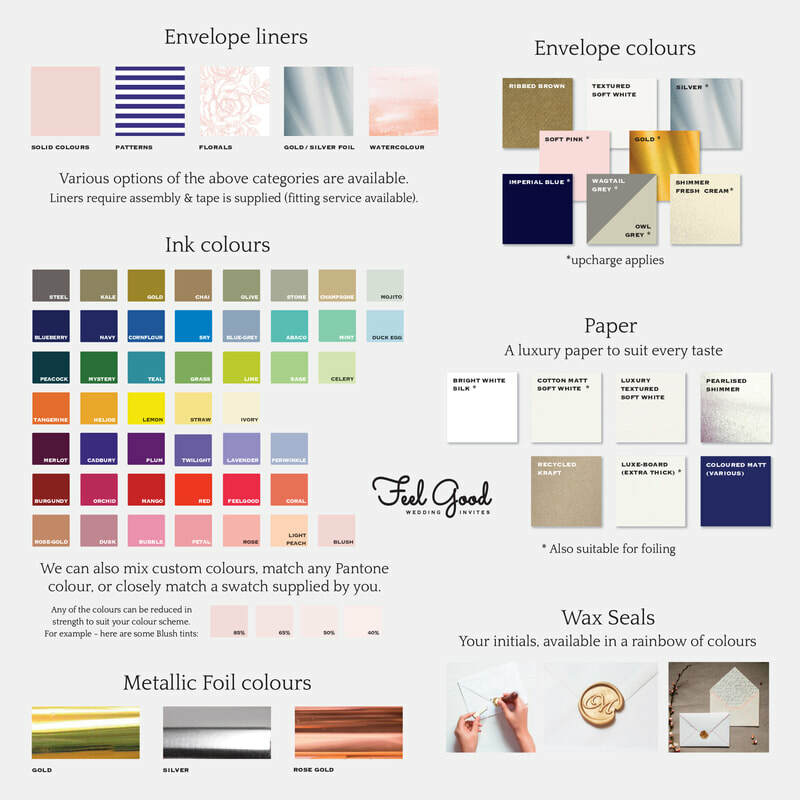 ​Ink and paper can be coloured to suit your scheme.